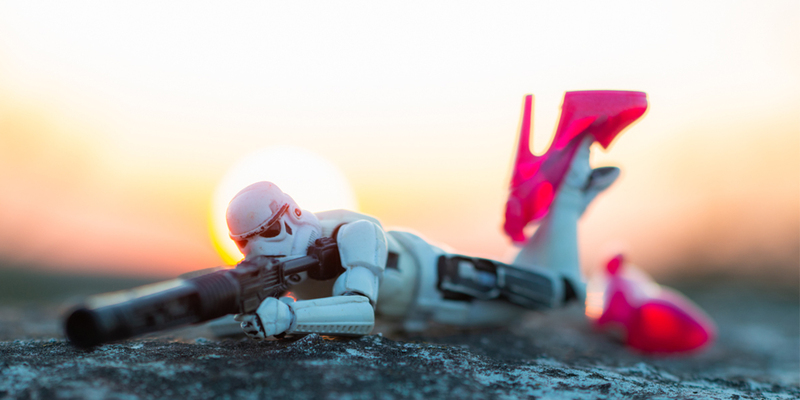 The Toy Photographers podcast is produced and hosted by James Garcia. Each week James interviews the amazing people around the world who have chosen toys as their artistic subjects. The podcast airs every Sunday. You can subscribe to the show on iTunes, Stitcher, Google Play, or your other preferred “podcatcher” apps, and they’ll also be made available here on the blog. To see all of the blog posts accompanying the episodes, click here. Three episodes a month are interviews between James and other toy photographers. Think of these as long form versions of the “Why?” posts we publish on the blog. The other episode each month is more freeform, and is co-hosted by Kristina Alexanderson. Kristina and James pick a specific theme to photograph, talk about their interpretations of that theme, discuss each other’s photos, and read listener comments and questions. Please subscribe to the pod and rate us in iTunes or wherever you listen to the podcast. That will ensure that you never miss an episode, and your reviews and ratings will help others to find our show!